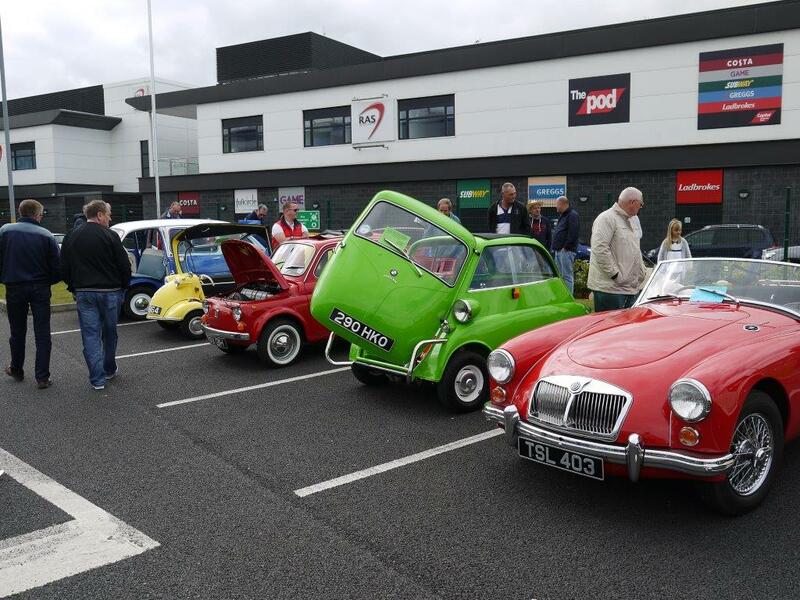 The South Wales Classic Car Show is the biggest spring show in South Wales, attracting well over 500 entries. It is run entirely by Club members and helps raise £1,000's for charity. The show is a deeply rewarding way for us to share our interest with others and the highlight of the year for most. Regular visitors to Pencoed will know that the unthinkable happened in 2014, and our Chairman had to take the controversial decision to cancel the event on the day of the show. The torrential rain had rendered the field unusable, and despite bitter disappointment, the safety of visitors and exhibitors had to come first. This virtually unprecedented occurrence could not be allowed to happen again, and to cut a long story short, our former Clubman of the Year, Ian Thomas opened doors to get us onto the Cardiff City Football Stadium car park for the 2015 event. The South Wales Classic Car Club members meet at 7:45pm prompt on the first Thursday of each month at The Athletic Club, Castan Road, Pontyclun CF72 9EH. This is a great opportunity to meet fellow enthusiast and catch up with friends old and new. Let your enthusiasm spill over while debating classics. Take advantage of advice on offer from members' experiences with their cars. There is a wealth of knowledge on technical issues, locating spares or even the best places to stay if planning a road trip! The evening usually includes some entertainment in the form of a quiz or guest speaker – see the 'Join Us' page for more details. cobwebs away in January, the Swallow Run in Spring and the Autumn Colours Run in, yes, the Autumn. The format is usually to meet at a pre-arranged point and then follow directions for a drive of around 50 miles to a suitable lunch venue – stopping at a place of interest for a coffee break on the way. The Coffee Mornings are a relatively new club activity. Typically held early(ish) on a Saturday morning, for members to meet very informally for breakfast, or just a hot drink. Bring your classic out to give it a run if you fancy, or come in your daily driver if not.